Oprah's Book Club 2.0 selection. A powerful, blazingly honest memoir: the story of an eleven-hundred-mile solo hike that broke down a young woman reeling from catastrophe—and built her back up again. At twenty-two, Cheryl Strayed thought she had lost everything. In the wake of her mother's death, her family scattered and her own marriage was soon destroyed. Four years later, with nothing more to lose, she made the most impulsive decision of her life: to hike the Pacific Crest Trail from the Mojave Desert through California and Oregon to Washington State—and to do it alone. She had no experience as a long-distance hiker, and the trail was little more than “an idea, vague and outlandish and full of promise.” But it was a promise of piecing back together a life that had come undone. 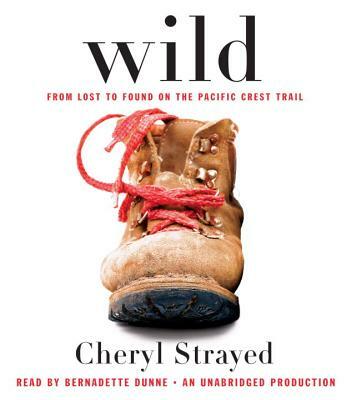 Cheryl Strayed is the author of the critically acclaimed novel Torch. Her stories and essays have been published in The New York Times Magazine, The Washington Post Magazine, Allure, The Rumpus, The Missouri Review, The Sun, The Best American Essays, and elsewhere. She lives in Portland, Oregon.